Take the mystery out of this delicious, North African condiment. Are you hearing harissa everywhere these days? Seeing it on menus and wondering: Wait, what is harissa? Harissa is native to North Africa— countries like Morocco and Tunisia— and is a paste-like condiment that might remind you of tomato paste in consistency, but is actually made from a variety of peppers, herbs and spices. It’s sort of like a North African sriracha though it isn’t necessarily spicy. Ingredients vary from region to region, and even from family to family, but can include roasted peppers or sun-dried peppers, tomato paste or sun-dried tomatoes, herbs such as cilantro and mint, and spices such as caraway seeds and cumin. 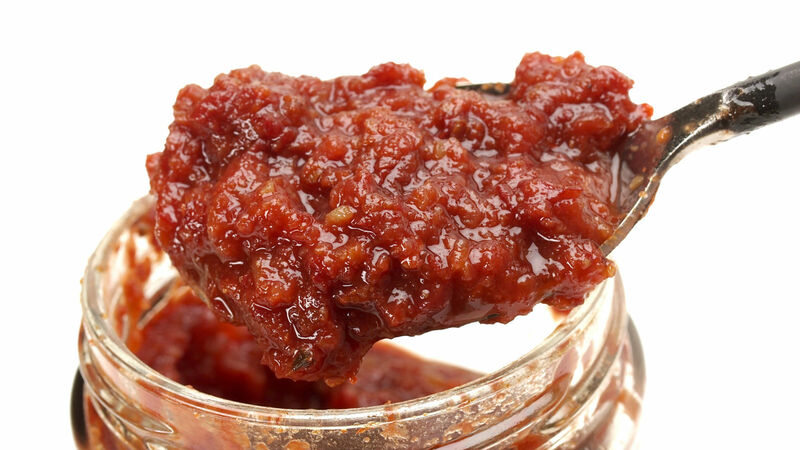 Harissa was brought to Israel by Jews from Morocco and Tunisia and has become a popular condiment. And now it’s popular even in the United States!